I am a little embarrassed to admit, but V-day is my MOST favorite day! While I have been (secretly) celebrating Valentine's Day at my house for weeks, tomorrow is the official beginning of the season! With a Valentine's Day Birthday party tomorrow (stay tuned for a re-cap of this EVER so sweet 1st birthday) to a first grade Valentine's Party art project...the pink and red are coming out! While red roses can be nice, they must be arranged the right way for me to get excited.....you might want to make subtle hints to your sweet someone that there are so many other options! 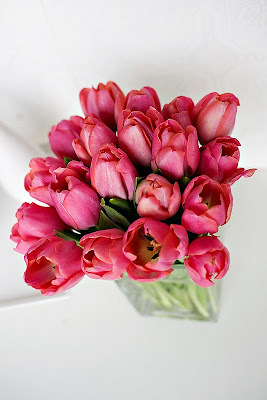 These tulips are simply beautiful! 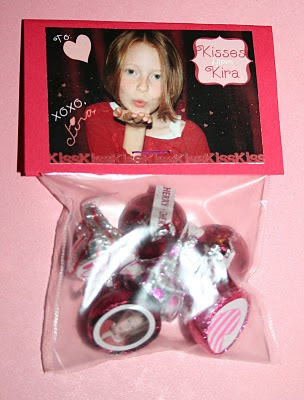 Remember the day when your mom took you down to the drug store and let you pick out the Valentine's Day cards you would be giving out to your classmates? I remember studying my options and trying to pick the coolest card possible. As I sorted through the Valentine's Day cards that came home from kindergarten last year, I realized that the cool cards did not come from Target, much less CVS. Below are two fun ideas came from My Insanity. 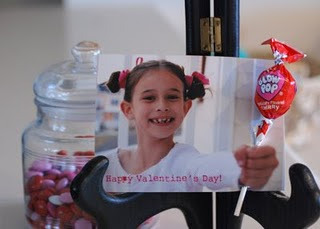 If you don't have time to get this together for the class Valentine's Day party, this would make a very fun birthday party favor! Don't you L O V E these bags! Check out Crafty Sisters for instructions on how to make your very own L O V E bags. Note: Do not give a friend the "O" bag or "V" bag alone... your fun creative project will just be weird! 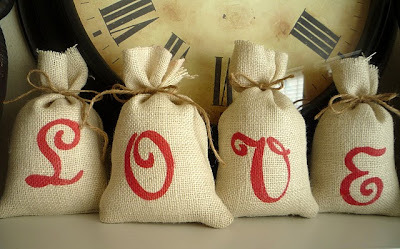 Instead stencil the whole word "love" on each bag and then give them out as a gift. I think I might talk to one of my brides about using this type of bag as their out-of-town gift bags. Instead of stenciling LOVE, we could stencil the wedding logo or couple's monogram. Dear Mrs. May Bride.....let's talk, this photo has made me remember my original idea of burlap for your reception. Ooooh, very excited!